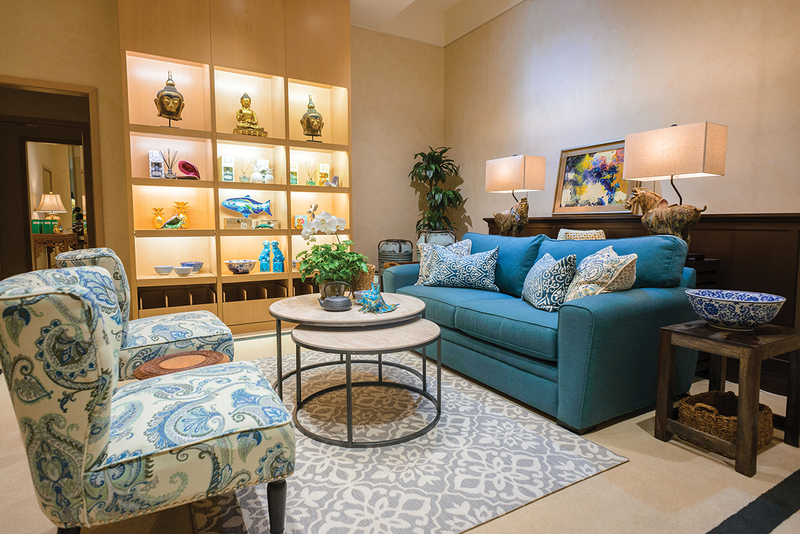 Gottling Home Store, talented designer and local Maui resident Karl Gottling’s beautiful new showroom in The Shops at Wailea, features island-inspired interior concepts in a gorgeous 3,500 square foot space. Gottling’s passionate commitment to beauty is on full display—offering everything from one-of-a-kind furnishings and original artwork, to unique antiques. Living on Maui for over two decades, his impressive resume includes interior concepts as well as landscape design for five star resorts, restaurants and private residences. His design philosophy truly transforms a living space to create a total sensory experience. Featuring Derek Bencomo, a local wood carver extraordinaire who has been producing this distinctive body of sculptural bowl forms for the past 30 years. His pieces mirror the beauty and figure of the wood and are collected by national museums. Open daily from 9am to 9pm at The Shops at Wailea.